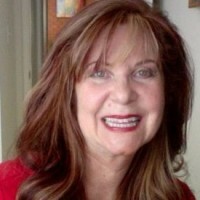 Nina Weinstein has a Master of Arts in Applied Linguistics/Teaching English as a Second Language from the University of California, Los Angeles. She wrote twenty English textbooks that are held in libraries such as MIT, Oxford University, New York University, Kyushu University, etc. She was "the English Doctor" for Voice of America Radio, where she was one of the first people to teach English live on Facebook to thousands of people in countries around the world. She was a teaching fellow at Harvard University, where she taught all skills, and an early version of her custom course in listening to real spoken English. She tested the first edition of her real English listening book, "Whaddaya Say", while she was at Harvard. "Whaddaya Say" is a bestselling book (Pearson Education, about 45 printings) and is used all over the world. She's created all-skills English programs and taught custom listening courses at companies such as Toyota Motor Sales, Mazda Motors of America, Tatung, Sumitomo, and various universities and online programs. She's spoken all over the world on real spoken English and written many academic articles. Recently, Nina Weinstein wrote, designed, and produced an interactive, English-learning website, Nina's Easy English. It teaches beginning through advanced learners all skills, including how to understand real spoken English. Currently, she's writing a TOEIC preparation book for an Asian publisher. Nina Weinstein cares about her students, and always has. If you have a goal, a question, or you'd just like to say, "Hello", please contact her.